Statement: During my work for Mary Ellen Mark and Patrick Demarchelier, I was simultaneously laboring over my own projects that centered around downtown New York in the early '00s. Most of these characters were tomorrow's stars and I have since then, continued to document many figures of the music scenes for publications such as Dazed & Confused, Spin, and Tokion. My photographs tend to have an intimate journalistic or almost diary-like atmosphere to them, and the line is blurred between commissioned work and personal projects. 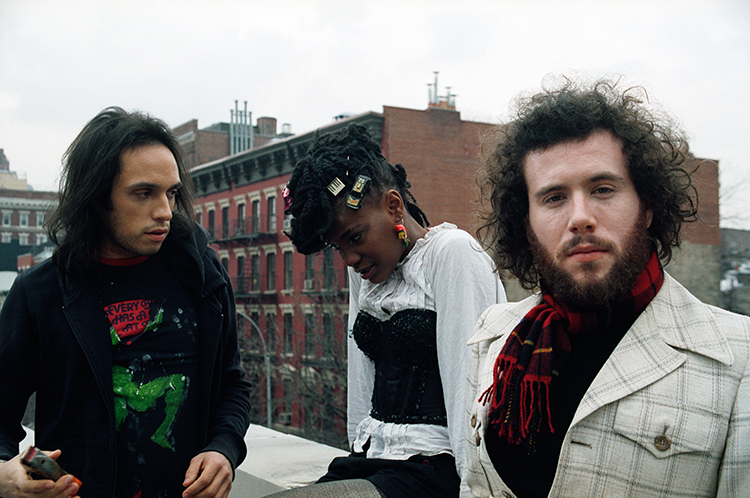 This image is of a British band, The Noisettes, taken on a rooftop in the West Village of Manhattan...on a very gloomy morning. For information about submitting your work to the fototazo gallery project, click here.